To uninstall plug-ins you just need to delete the actual plug-in file from your Adobe After Effects Plug-ins folder. To reinstall plug-ins on a new machine you just need to follow the same install procedure that you did initially. Check the specific product support pages to find the correct install guides. C:/ProgramData is an hidden folder so you might need to type it in the Windows Explorer address bar. After deleting the folder, run the full Element 3D installer (not the patch) and license as normal by entering your download account email and password. Or, if necessary the manual license method. If the Video Copilot folder is not present then install the full Element 3D installer. This happens when the default amount of license attempts have been used up. We understand that computer problems happen which require re-installation. No problem. Send an email to support@videocopilot.net and include your Video Copilot download account email or your order number and we can help. Model Browser Empty/Missing - Even the starter pack content is missing! This happens if the Element 3D assets get de-linked from the Element plug-in. The solution is to run the full Element 3D installer again to link the assets back to Element. Make sure to choose the original location that you had the assets installed so that your 3rd party models will also link up. Compatibility Requirements - Check to see if your machine is compatible with Element. (the link goes to current Element page). Check this link for Supported GPUs. Windows 7 Users - Update to Service Pack 1 which is required for Element V2. Then download and install this Windows Update. Update Element: The latest version is available in your Video Copilot download account. -If using Mac, the latest drivers are included with the OS X updates. Folder...' and type the path in. Lower Multisampling in the Element Output controls. You can turn it down as much as 0 depending on the project. Try lowering Element’s Render Settings for settings such as Ambient Occlusion, Motion Blur, Depth of Field, etc. Lower Particle Count in the Group settings. “Error code: 54”; “Error code: 1000”; “Err: 51”; “Error code: 109”; “Error code: 64” or Other Installer Error - See Possible Solutions Below - Each is its own separate solution. 1st Solution: Close Adobe After Effects before running Element 3D installer. You may need to reboot your computer in case Adobe After Effects is still running in the background processes. Try to run the installer again. 3rd Solution: Run full Element 3D installer again (not the patch) and choose a local location for the Element 3D assets that’s on the same hard-drive that you’re using to run the installer. Then try to complete the installation. 4th Solution: Run full Element 3D installer and choose a custom location for the Element 3D assets. For testing purposes we recommend the Desktop. If error continues even after choosing a custom location for the 3D assets, then it may be a problem with the AE Plug-ins location. To solve this, run the full Element 3D installer again and choose a custom location for both the Element 3D assets and where the plug-in is installed. To choose a custom location for the plug-in, uncheck all versions of After Effects that may be selected. Check custom option (choose 64bit or 32bit depending on your After Effects version), then browse your Desktop as the location. Finish the Element 3D installation. Go to your Desktop and manually drag the Element 3D plug-in (not the Element 3D Assets) into your After Effects Plug-ins folder. UNABLE TO FIND SOLUTION TO YOUR PROBLEM? Send your "System Info" from within the Element plug-in. See screenshot. If the crash happens before you can access it, like a crash as soon as you apply Element or after licensing, please turn Caps Lock on before applying Element. That should allow you to proceed without crashes to get the System Info. A brief description of the problem and any screenshots or small video clips that show the problem. Problem Opening Plug-in For The First Time or Right After Licensing - First check compatibility requirements. 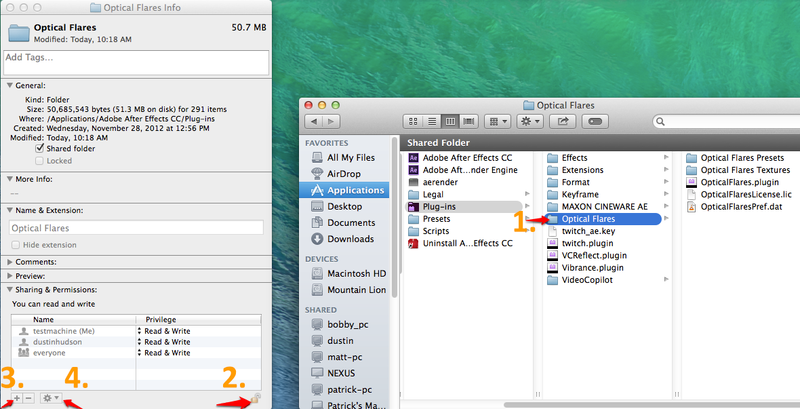 Library is a hidden folder so you may need to go to Finder menu 'Go' and use 'Go to Folder...' and type the path in. After that, run the Heat Distortion installer again. Then open After Effects and try to open the plug-in. After that run the Heat Distortion installer again. Then open After Effects and try to open the plug-in. Open Optical Flares Interface - To open the interface click on the Optical Flares “Options” button in the plug-in control area. HW ID Fingerprint Window Appears When Using Plug-in - This means the plug-in needs to be licensed or there is a problem with the install. “Invalid HW ID” Error - Check that you entered the HW ID exactly as shown. Sometimes “5’s” can be confused with “S’s” and “1’s” for “I’s”. Optical Flares Won’t Open - Update to latest version of plug-in (1.3.3) - It is also available in your Video Copilot account. If downloading from the link above: Just replace your current plugin file (just the Optical Flares plug-in file in your Optical Flares folder) and replace it with the one from the link. After you do this, restart After Effects and open the plug-in. Apply Optical Flares to a solid and click the “About” button. Then click the “More Info” button to bring up the More Info specs. 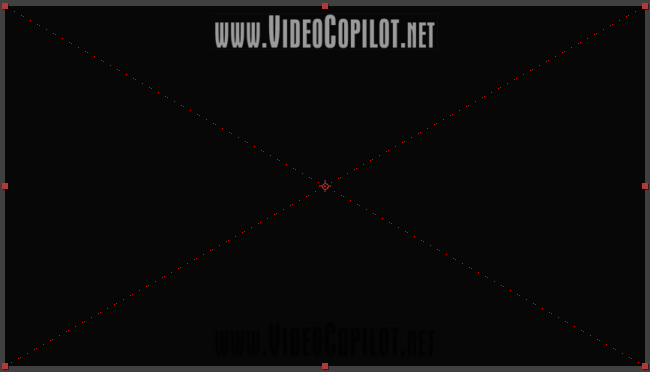 Send the More Info details to support@videocopilot.net and include a brief description of the problem you are having. 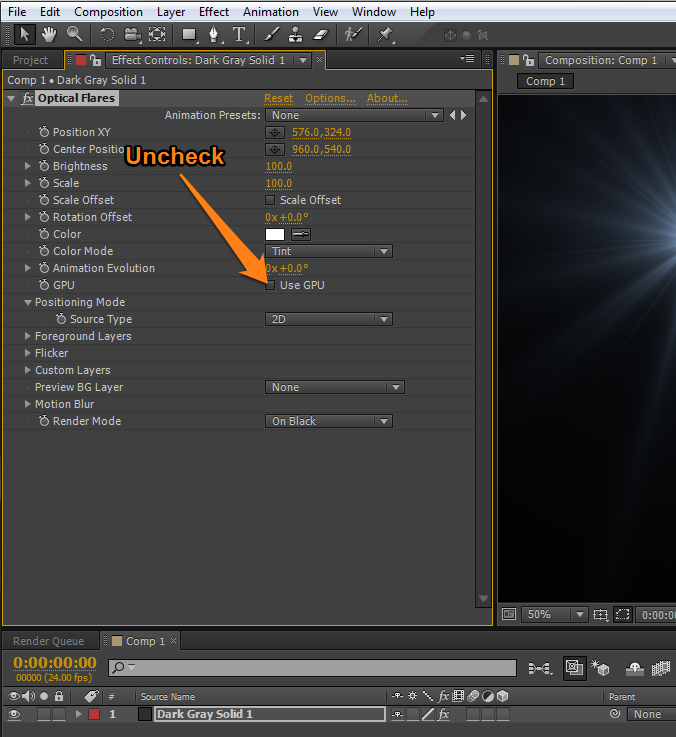 1) In the Optical Flares controls, uncheck “Use GPU”. 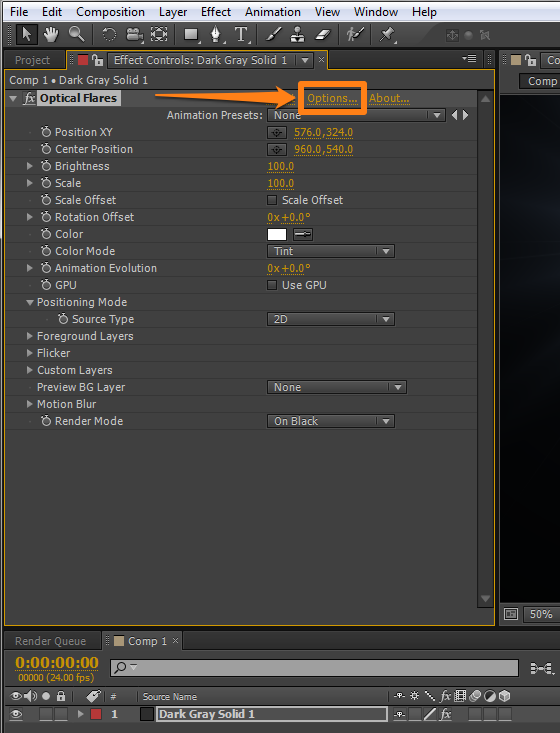 Make sure the “Pro Presets” or “Pro Presets 2” folder installed directly into the Lens Flares folder. If the installation looks correct, check the permissions settings. We recommend installing as Administrator rather than a user-account to avoid permissions issues. Optical Flares Permissions Settings For Mac - For User-Accounts: All of the Adobe folders and all of the Optical Flares files/folders should have read and write permissions enabled. The Optical Flares folder may need the permissions settings changed if the user-accounts don't have full Admin permissions enabled. Here is a walkthrough for how to do this - Click the image below to expand it in order to follow along with the Numbered Steps that are directly below the image. 1) Right click the "Optical Flares" folder and choose "Get Info"
4) At the very bottom there is an options button. Click that and choose "Apply to enclosed items"
Make sure the __-Twitch-__ presets folder is directly inside of your After Effects Presets folder. Then try and search them in After Effects. 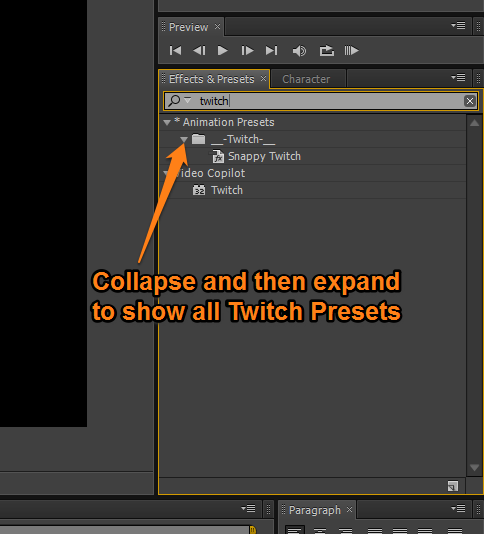 Turn on the “Show Animation Presets” option inside of After Effects. See screenshot for where you can find this option. Presets Not Showing Up In The Twitch Drop Down Bar? First, search them in the Effects & Presets search menu inside of After Effects. Collapse and expand as shown in the image below (click image to expand it).